At Blueox Energy, we like to take care of our customers. When you need to buy a new heater, have your furnace serviced, or you need a delivery of kerosene or home heating oil, you can count on Blueox. In addition to all of the great services and products we offer, we also like to provide you with helpful hints and tips that can save you money, keep your home more comfortable, and that are easy to implement in your day-to-day routine. In this entry, we will cover a few ways to keep the cold out during the winter. If you need to have your heater looked at because it isn’t working as well as it should or you want to find out what new heater options we have for sale, check out the rest of our site or contact us. Checking your doors and windows for gaps in the frame or damaged or missing weather stripping and seals is one of the easiest ways to prevent heat loss and cold intrusion during the winter. The process is incredibly simple: when the temperature outside is relatively cool, run your hands along the outer edge of each window in your house and along the edge of every door that leads outside. If you notice cold air pushing its way through, there is a gap. You’re most likely to notice cold air along the bottom of doors and the sides of windows. If you find any of these gaps, the solution is usually very easy to implement. For windows, apply caulk that is designed for sealing windows or remove and replace any weather stripping that has been damaged. If your doors have missing or damaged rubber sealing inserts, replace them. While it might seem like these repairs are too small to have much of an impact, you’ll be surprised to see just how big of a difference they can make. 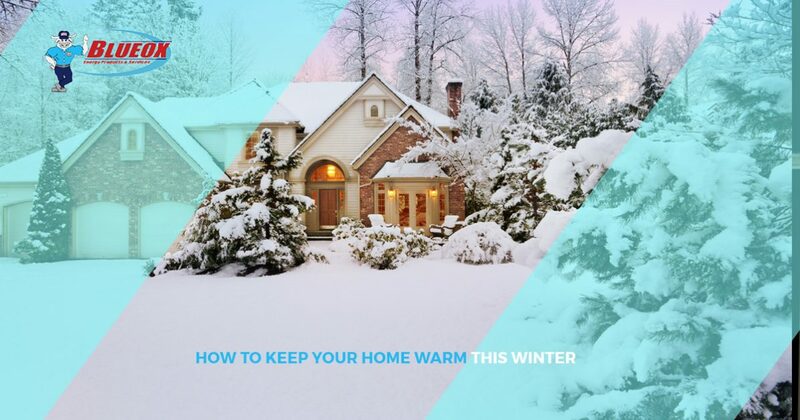 Not only will your home feel warmer, you’ll start saving money on your heating costs, too! There are several other simple, low-cost options for preventing heat from escaping from your windows that are easy to use. First, if you have curtains, make sure to close them at night and keep them open during the day. Let the sun add some nice, free warmth to your home and then prevent it from escaping during the evening hours by closing your curtains. Second, use window treatments or look at new windows. While new, energy-efficient windows are not a fast or a cheap fix, the amount of money they can save you can be staggering. Windows with multiple panes help insulate your home in an incredibly effective way that will help you feel warmer and protect your pocketbook. Window treatments, on the other hand, are very cost-effective and can offer you some of the same insulating effects as new windows. Check back soon for even more tips to help your home stay as warm and comfortable as you like it to be during the winter! Contact us at Blueox Energy in Oxford if you need HVAC services, heater sales or installations, or kerosene and home heating oil deliveries!